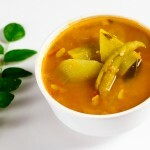 Beerakaya mulakkada kura is a simple and popular curry in every Andhra household. 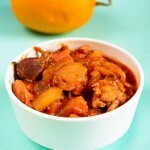 Here’s an easy recipe to cook ridge gourd drumstick curry (బీరకాయ మునక్కాడ కూర). I do make this curry very frequently as it is easy and good for stomach. Ridge gourd from ages is considered to be a cooling vegetable with lots of water and dietary fibre. ‘Beerakaya’ in Telugu, ‘Turai’ in Hindi, this vegetable is rich in nutrients like vitamin C, riboflavin, zinc, thiamine, iron, magnesium and manganese. Low in saturated fat and cholesterol, this veggie is a healthy choice for people with heart ailments. The nutritional value of gourd makes it suitable for maintaining optimum health and weight loss. 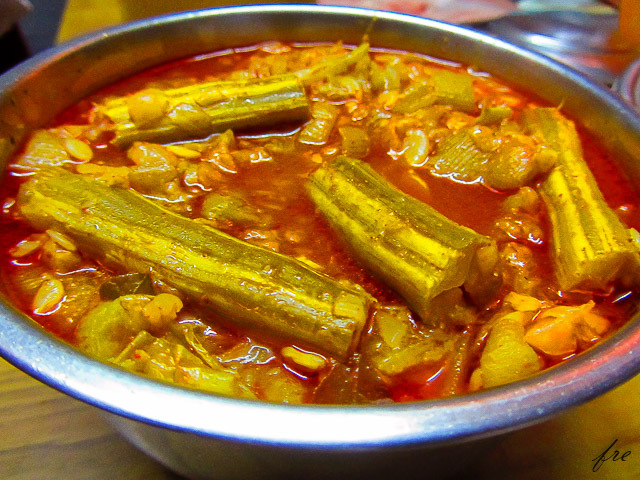 On the other hand, drumstick (mungakaya) has a special role in south Indian foods like sambar and curries. Its pods are a rich source of calcium, phosphorous and vitamin A and C and also a good source of fibre. When these two vegetables come together in a curry, it will be sumptuous and healthy. 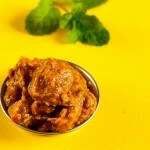 This beerakaya mulakkada kura (ridge gourd drumstick curry) is very subtle and not at all spicy. 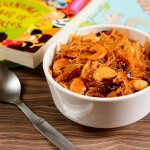 Thus, it suits the best for children below 3 years who are still getting used to the spices. Good for sick people as it is easily digestible and an excellent source of water. 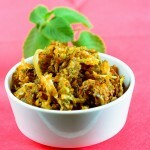 Garnish beerakaya mulakkada kura with chopped coriander and serve hot with rice or roti. Beerakaya mulakkada kura a healthy choice as it is easily digestible and an excellent source of water. Wash all the vegetables thoroughly in running water. Peel and coarsely chop the ridge gourd. Partially peel the drumsticks and cut into 2 ½ inch pieces and keep aside. Take oil in pan and heat it. Now add onions, green chillies and curry leaves and sauté till the onions become soft. Now add the chopped ridge gourd and mix well. Add salt and cook on a medium flame with the lid closed. This type of cooking brings all the water out of the vegetable and the curry is cooked in the same water till soft. When the salt is added and you cook the vegetable with the lid closed, the water from the vegetable oozes out and it helps in better cooking of the vegetable. You need not add a single drop of water for these water rich veggies. Once all the water oozes out, add drum sticks and again cook well with the lid closed till ¾ of the water is gone. Now add chilli powder and mix well. Cook for 2 more minutes and turn off the flame. 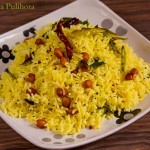 You might also love to check these side dish recipes:- Spring Onion Bottle Gourd Tangy Gravy recipe, Shimla mirch ka salan recipe, Punjabi chole masala recipe and Aloo Kurma recipe.